The Christening of Paul Shand, taken at Ken and Barbara's house in Horninglow. 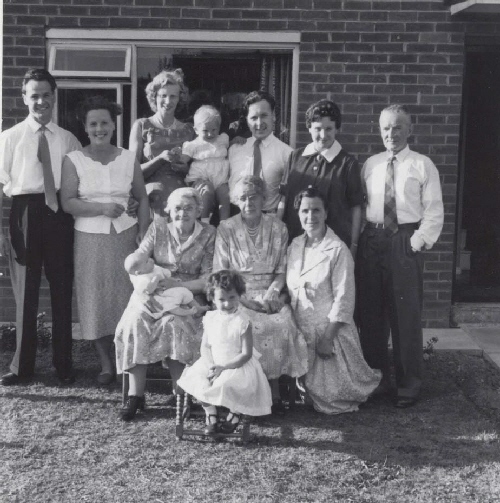 Left to right, back row: Ken Shand, Barbara Shand, a friend with her baby, Dennis Euridge, Beryl Euridge (pregnant with Harvey Euridge), William Bramham. Front row: Grandma Euridge, Great Aunt Lizzie, Elsie Bramham, Paul Shand and Janis Shand.